Design features a 3 tier cake with all tiers finished in vanilla buttercream frosting. 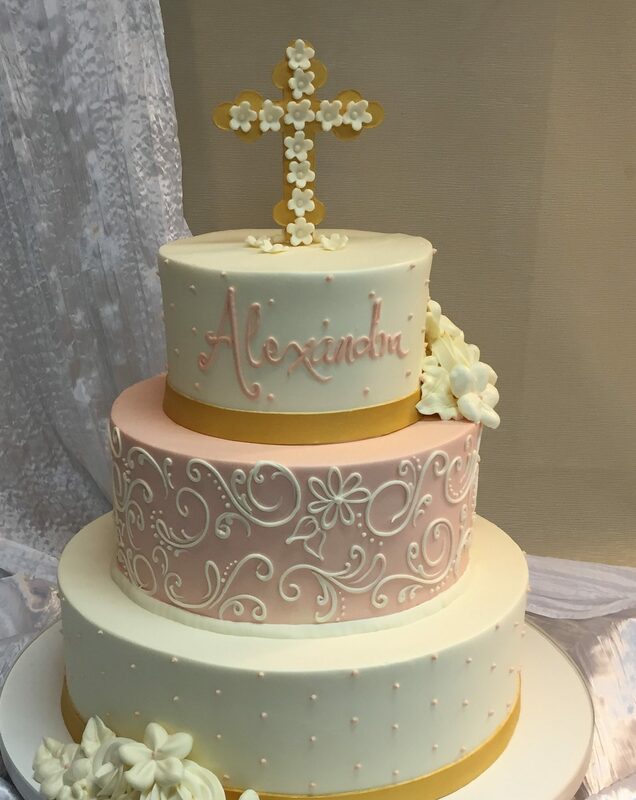 Swiss dot design work on top & bottom tiers in customer’s choice 1 color, coordinating color frosting on middle tier with white floral scroll. 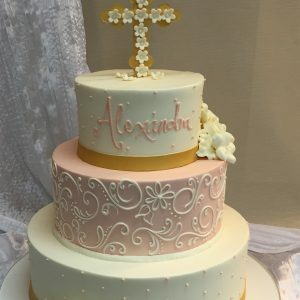 Gold rolled chocolate ornate cross propped on top, & gold bands on top & bottom tiers, with conservative buttercream flower clusters in white. Shown in shades of lightest pink & gold. Available as a 3 tier in all flavors and sizes with MINIMUM 10 days notice. Limited 2 Tier sizes and flavors at least 7 day’s notice.